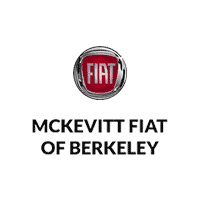 McKevitt FIAT of Berkeley is located in Berkeley, CA. Our FIAT dealership has a great selection of new and used FIAT 500’s. If you’re searching for a new car, browse our inventory for the 500 Lounge, 500c Pop, 500 Pop, 500C Lounge and 500 Sport. If you would like to test drive any of these versions, come down to 2700 Shattuck Ave Suite 200 in Berkeley, CA 94705. If instead, you’re looking for a used car in Berkeley, we can help you there too. Browse our expansive inventory of used FIAT cars as well as vehicles from other top manufacturers to find the right car for you. 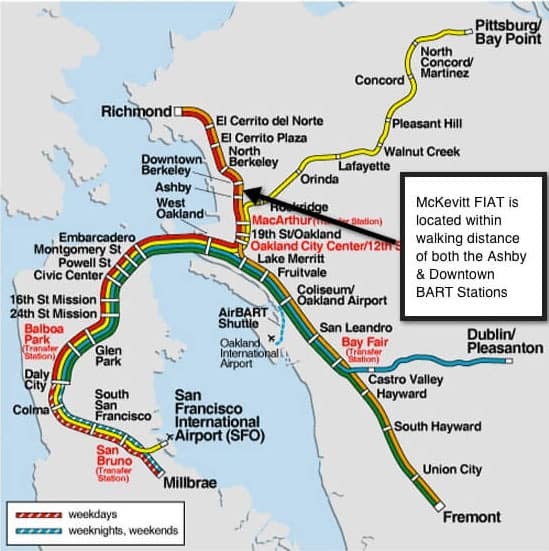 Whether you’re coming from San Francisco, Oakland, Concord or Fremont, McKevitt FIAT of Berkeley is easily accessible from anywhere in the Bay Area by taking Bay Area Rapid Transit or BART. Our FIAT dealership is located just blocks from both the Ashby BART Station and Downtown Berkeley BART Station making it very easy to access from anywhere in the San Francisco Bay Area. Many of our customers take BART into Berkeley from San Francisco, the peninsula, and the South Bay and then drive their new FIAT 500 home. BART is also great if you need to drop your vehicle off for service or repair and then want to get back to work or home via BART. 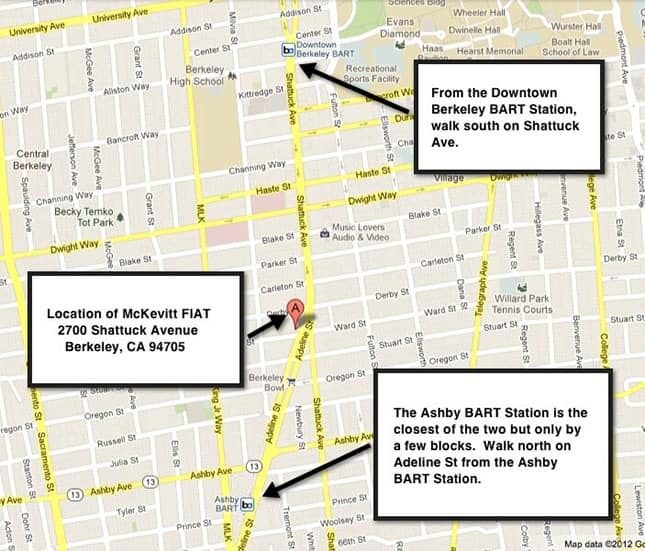 Below are a few maps to show you just how close we are to BART in Berkeley.